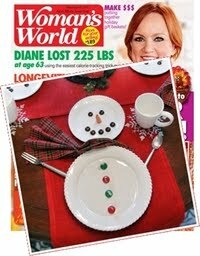 CONFESSIONS OF A PLATE ADDICT: Christmas Inspiration...Wreaths, Stockings, Ornaments and More! 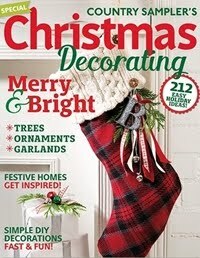 Christmas Inspiration...Wreaths, Stockings, Ornaments and More! Christmas is just around the corner and my house is an explosion of garlands, candles and ornaments...not to mention the pumpkins that are on their way out and a scattering of grandchildren’s toys mixed in! 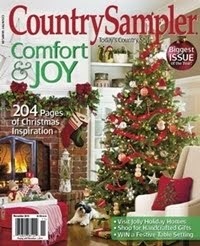 Yes...it’s time to deck the halls...or at least start thinking about it! 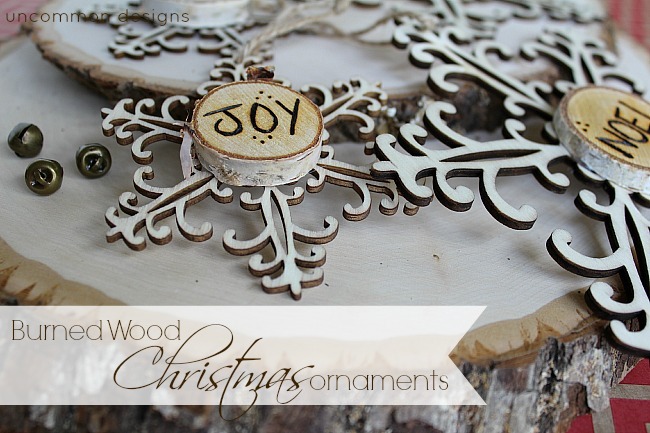 So I was excited to see some wonderful Christmas inspiration in The Scoop this week! 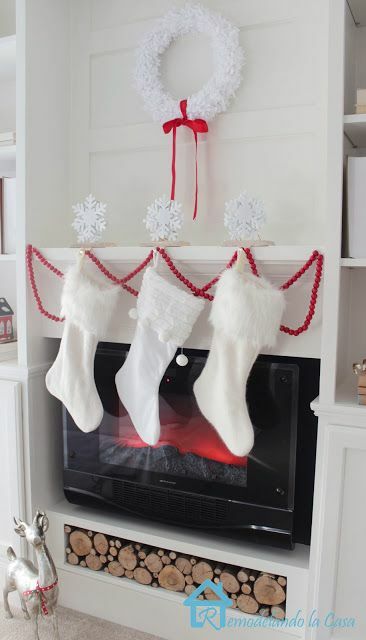 Do you make your own stockings? Then I have several wonderful tutorials for you! This one from Remodelando la Casa stars stockings made from sweaters topped with a white faux fur cuff! 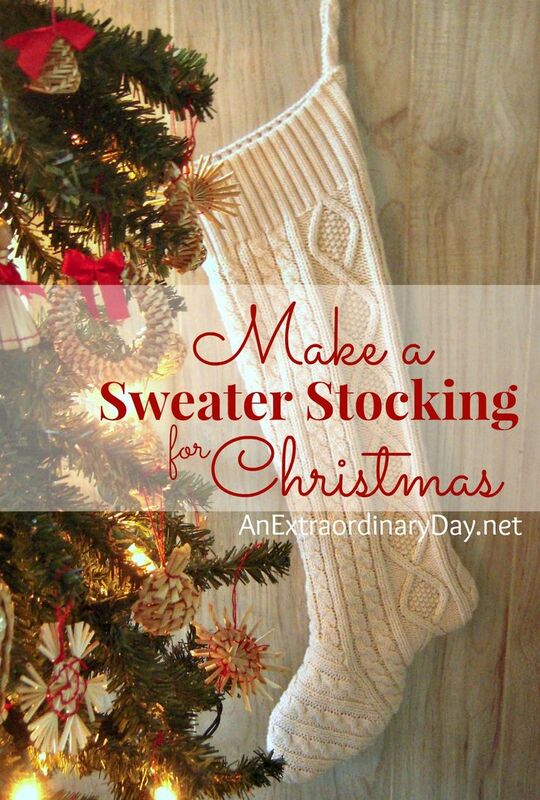 Here’s another version of a sweater stocking from An Extraordinary Day! Love the cable knit! 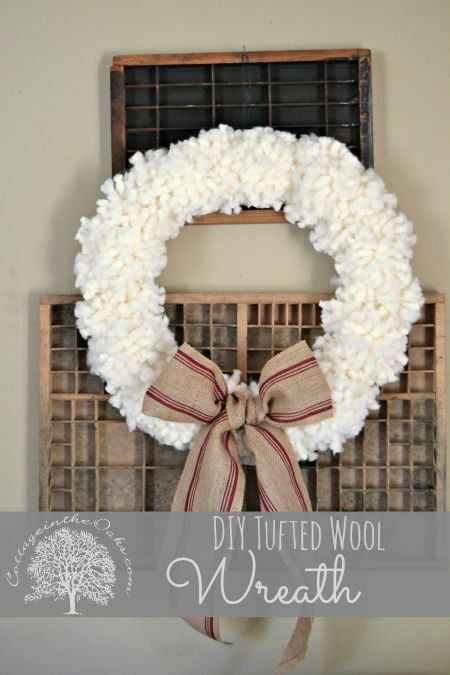 Now for some pretty wreaths! 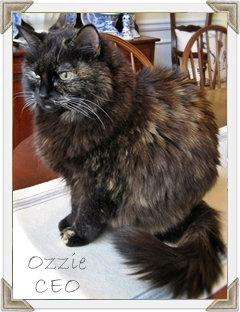 Cottage in the Oaks shares one made from tufted wool! 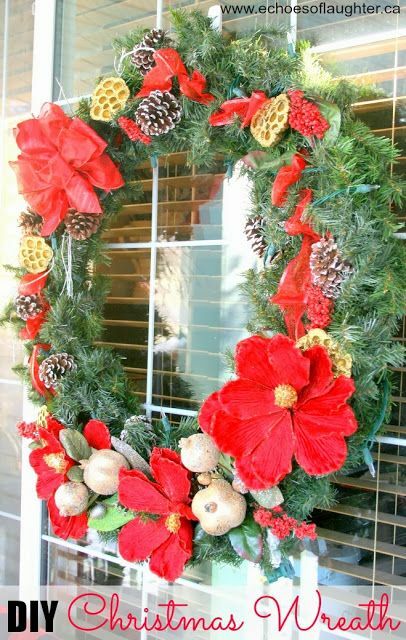 Echoes of Laughter reworked an existing wreath to create this festive beauty! 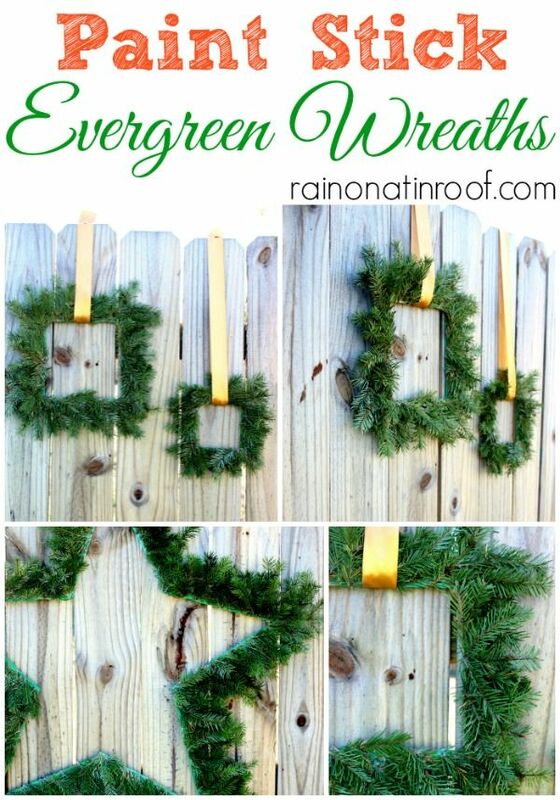 The hardware stores will all wonder what happened to their paint stick supply once everyone sees these great wreaths from Rain on a Tin Roof! I love the sheet music bow in this one from Refresh Renew…made from sheet music wrapping paper! Gotta find me some of that! 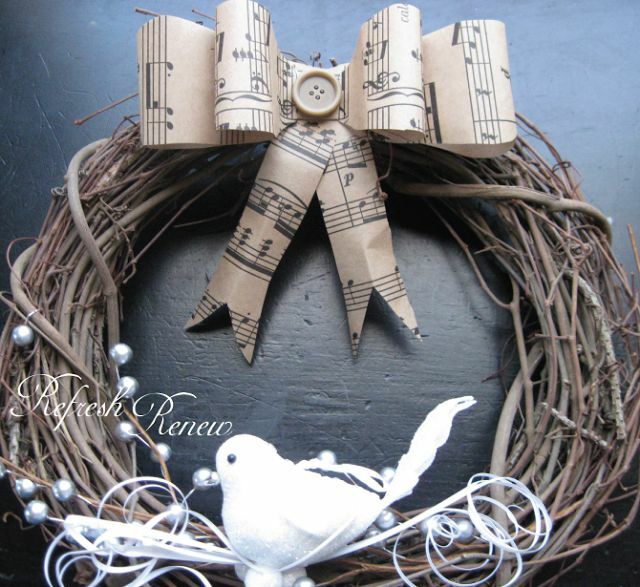 She has another version of a sheet music wreath as well, so be sure to check it out, too! 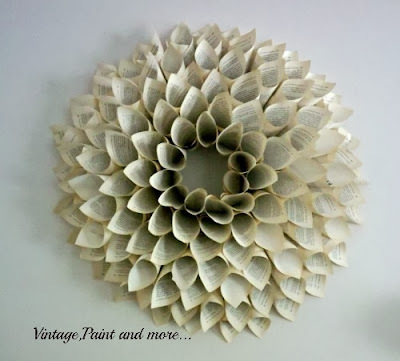 And here’s one from Vintage Paint and more… using old book pages! Love it! 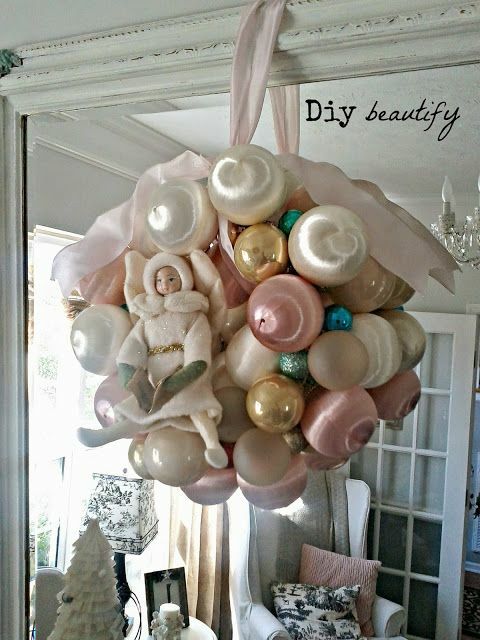 This one from DIY Beautify looks very French to me since they seem to use pastels rather than our traditional red and green at Christmas! So soft and elegant! 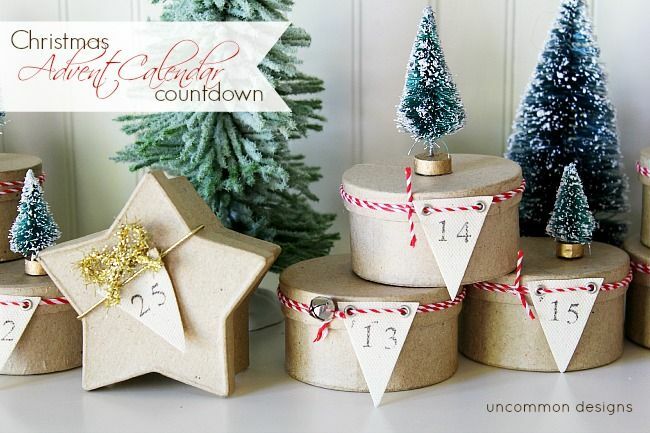 And now…how about some Advent calendars? There’s still plenty of time to have yours ready by December 1st! This one from Just Us Four is classy and simple! How fun is this one from Finding Home! It’s burlap and it’s no-sew…a great combination! 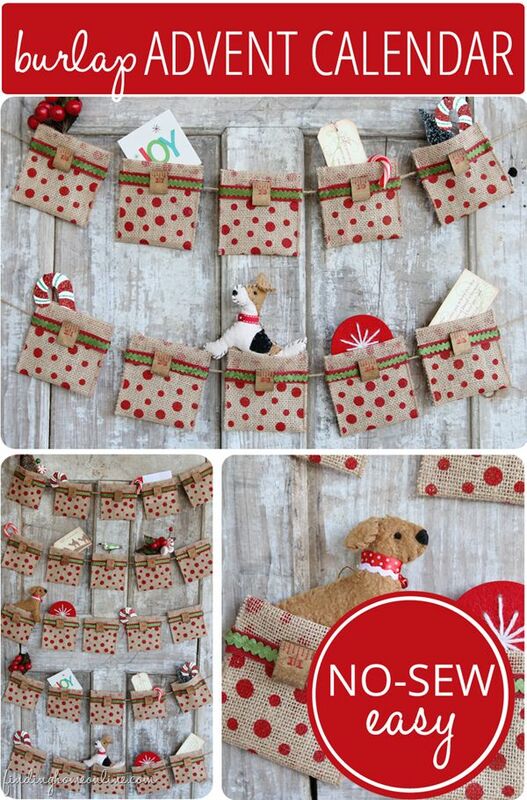 Echoes of Laughter added a chevron stencil to these purchased muslin bags to create her Advent calendar...fun! 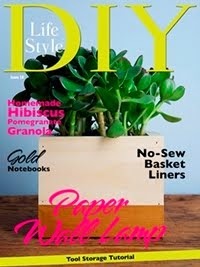 And here’s one from uncommon designs featuring little tree-topped mini paper mâché boxes…clever! 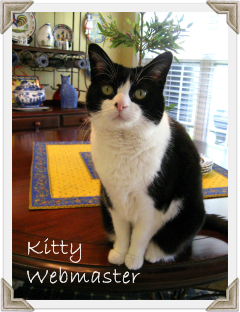 Now…how about some ornaments! Love these pretty burned wood ornaments…also from uncommon designs…unique! 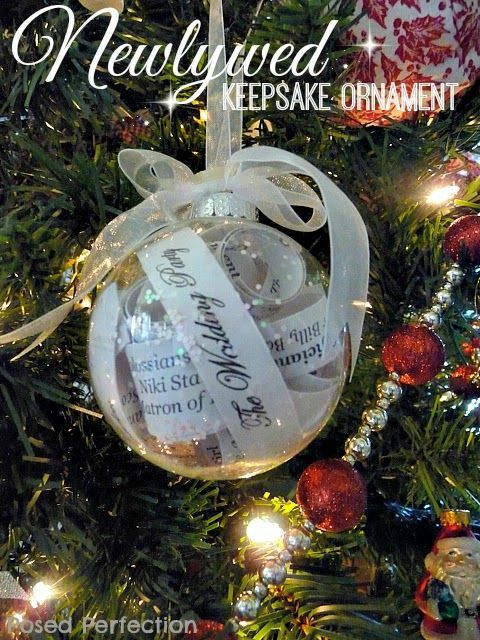 How’s this for a wonderful keepsake ornament from Posed Perfection…such a pretty and unique way to preserve the wedding program for a newly-wed couple! 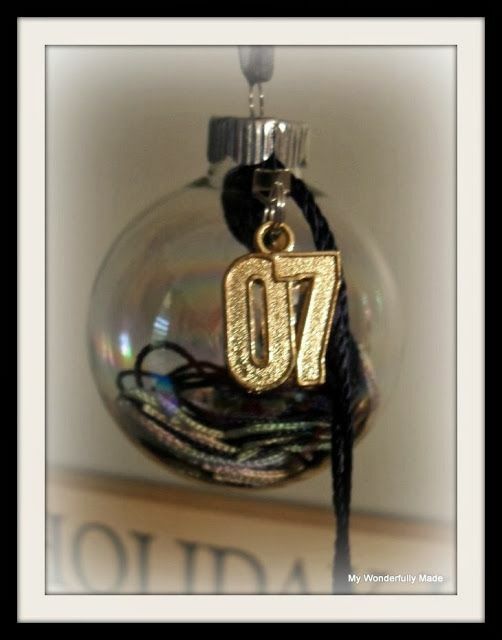 And here’s another fun idea for a keepsake ornament for a graduate from My Wonderfully Made...love this idea! Aren’t these pretty? The Happy Housie shares her tutorial for making these opaque glass ornaments. What a fun idea…and so easy! 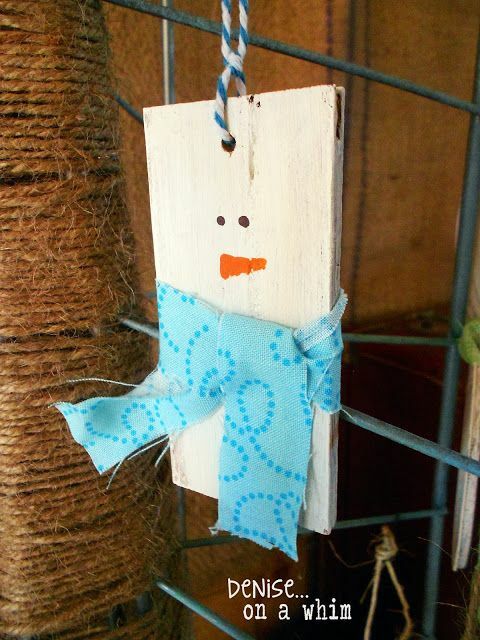 Denise on a Whim made her snowman ornaments from scrap wood! 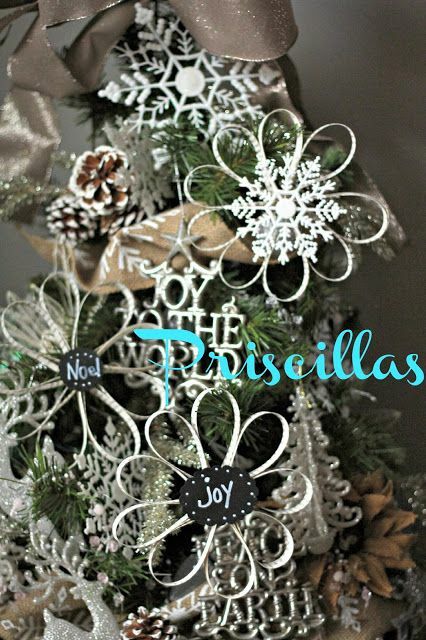 Here’s another fun idea using book pages…Priscilla’s book page ornaments! Love the addition of the little chalkboards, too! 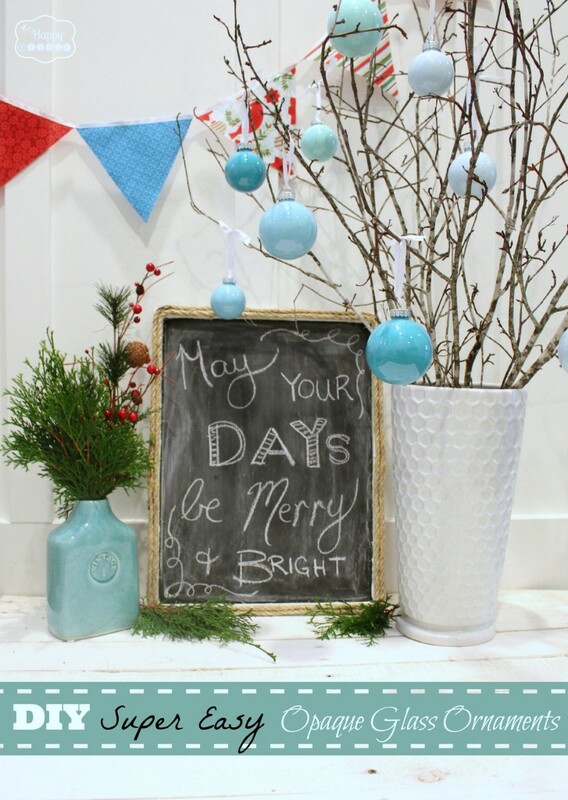 Lots of Christmas inspiration is coming from Angie at Echoes of Laughter this week! 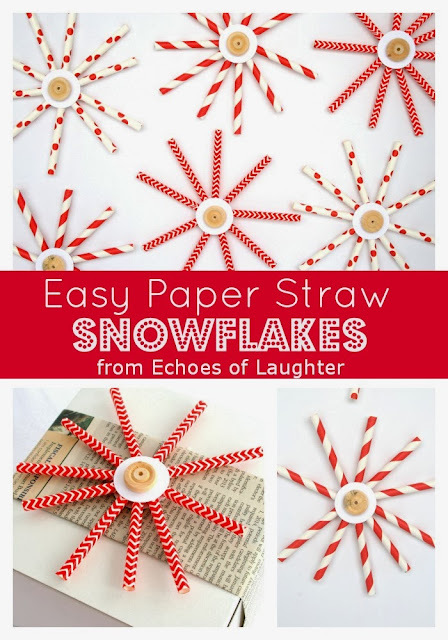 She shows us how she made these cute paper straw ornaments as well! 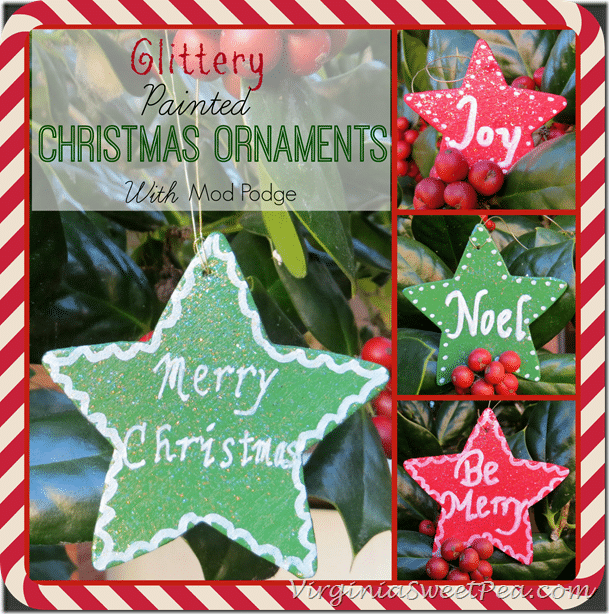 Paula at Sweet Pea shows us how she made these cute star ornaments finished off with one of my favorites…glittery Mod Podge! And I am sharing my burlap and plaid mantel from last year…with handmade stockings and a link to the tutorial plus a matching handmade wreath as well! You can get all the details here. I’m still finishing up this year’s and I can’t wait to show you! Also...mark your calendars for the next blog tour from The Scoop! Twenty-five talented bloggers will be bringing you all that you need to know for creating a handmade Christmas in your home! 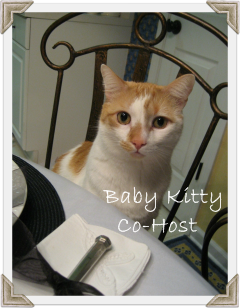 I'll give you all of the details at the Scoop's linky party on Monday night so stay tuned! Thanks for stopping by! I hope you enjoyed seeing all the amazing ideas for Thanksgiving! Please visit these wonderful bloggers and their beautiful blogs to see what they are up to and to find a list of this week’s participants! 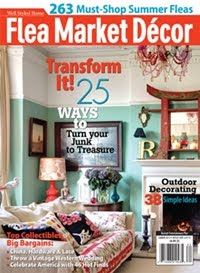 Debbie, I love seeing your burlap and plaid mantel! Gorgeous! So many fabulous ideas! I am so inspired! 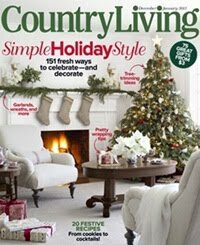 I can't wait to start decorating, but it will be after Thanksgiving thisyear! I am so inspired!! Lots of pretties. Lots and LOTS of talent here! Thanks so much for including my glittery ornaments in your features. I am honored to be included with such a great group of projects. 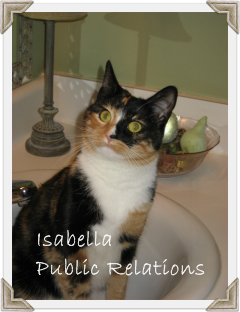 Thanking YOU for all the GLORIOUS inspiration! Wonderful ideas. 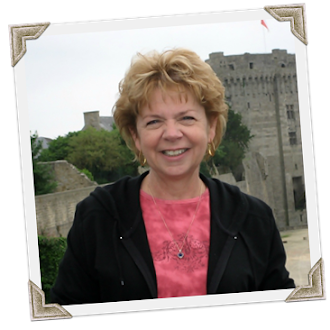 This post is full of inspiration! Great inspiration. 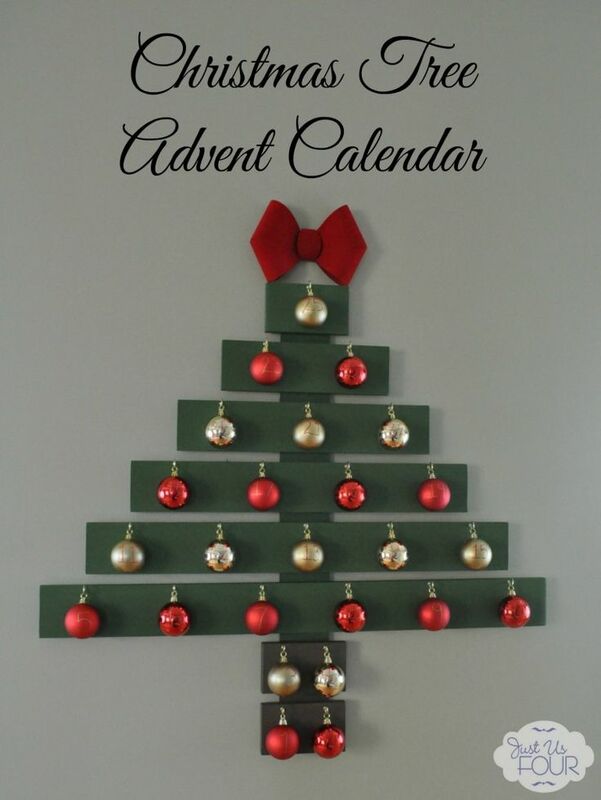 I was looking for ideas for advent calendars, thanks! 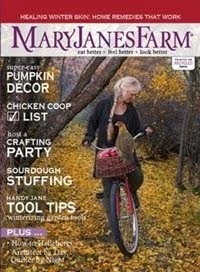 And I love your burlap and plaid stockigs.